We spend more than one third of our lives sleeping, making your bed the most important piece of furniture you'll ever own. The Hilary Devey collection allows you to treat yourself to affordable, five star luxury, and spring into a fresh start every day. 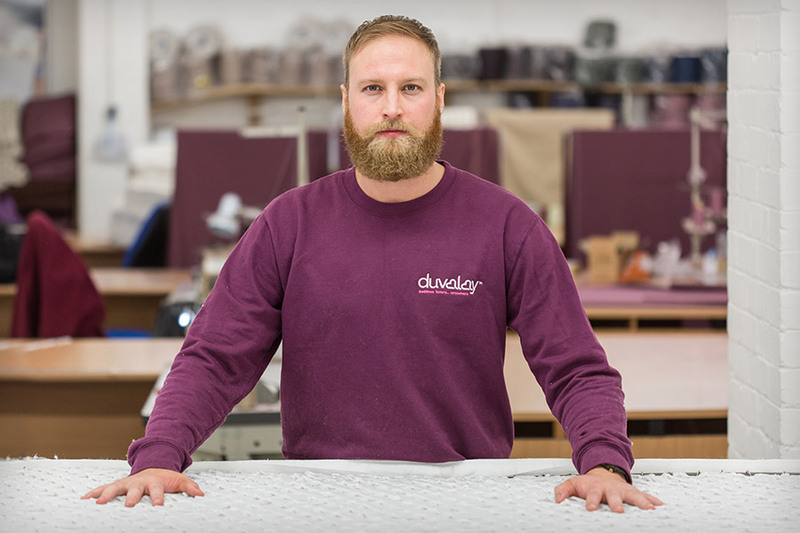 Restore and refresh your mind and body in luxurious finery with an amazing bed you'll absolutely adore, hand-crafted by Duvalay. 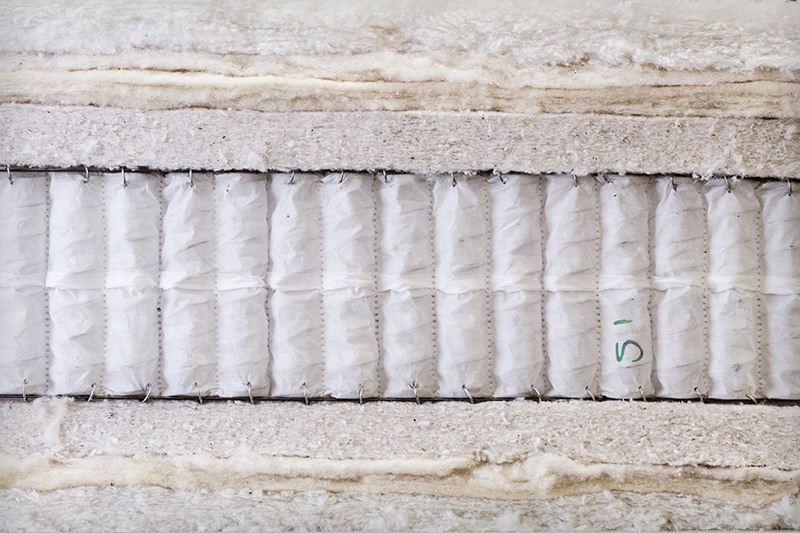 Our unrivalled luxury mattresses allow you to select the perfect blend of nature's most generous gifts. We've ethically sourced the very best, ultimately luxurious fine-grade silk; snuggly soft and warming wool; incredibly feather-light cashmere; fresh and breathable cotton, and supportive pure latex, sustainably harvested from the Hevea Brasiliensis tree. Perfectly complimenting both traditional and contemporary decors, our Hilary Devey collection of irresistible centrepieces is created with the finest premium fabrics. Choose from our range of rich, jewel colours and neutrals; available in plush, dense-piled, silky smooth velvet; lustrous crushed velvet, or softly elegant and inviting damask. Lovingly hand-crafted in our bright and vibrant Gomersal bedworks, right in the rural heart of West Yorkshire's traditional 'Heavy Woollen' district, the Hilary Devey collection perfectly combines enduring heritage techniques with the finest quality materials and the very best in innovative luxury. Artisan bed-making is a cherished art-form in an era of mass-production. Our pieces are completely handmade by time-served experts, who invest days of highly-skilled dedication into the creation of every perfectly finished work of art. 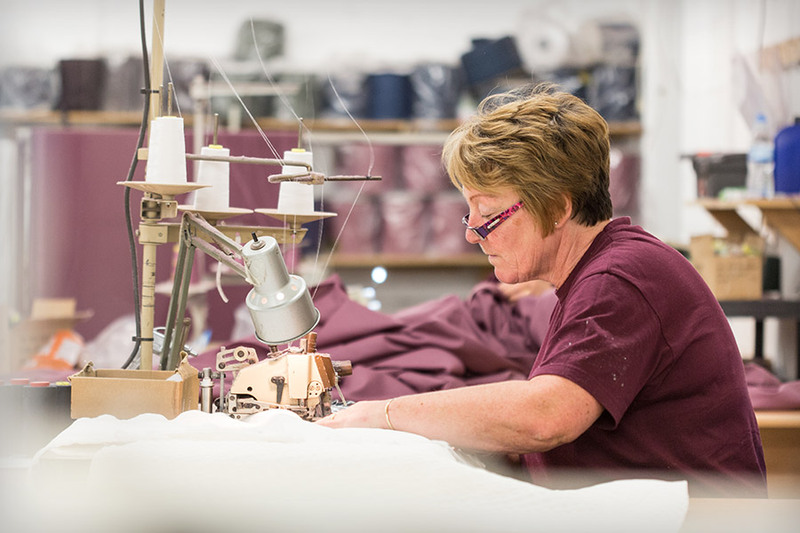 Our experts' many decades of pride and passion are passed down to a team of local apprentices, allowing our community to thrive while upholding the valued skills which preserve Yorkshire's textile and bed-making heritage. 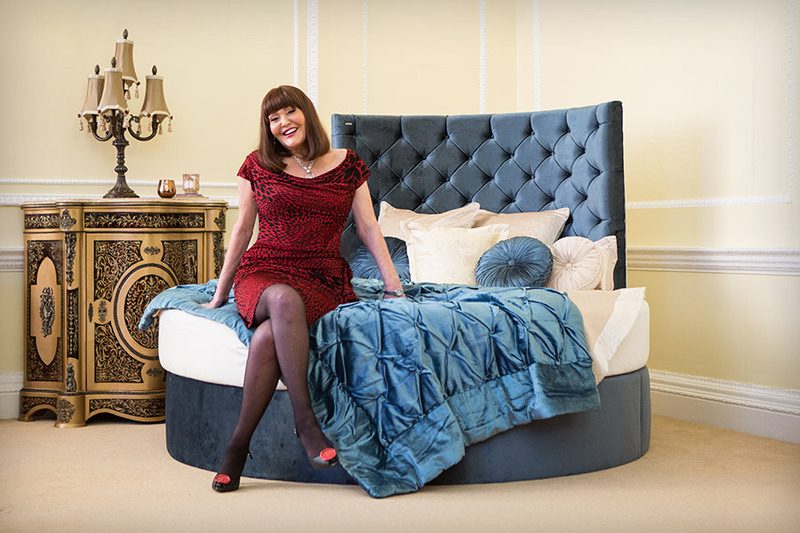 Duvalay's world-renowned passion for sleep perfection harmonises with Hilary Devey's meticulous flair for lavish design, resulting in an unsurpassed collection to transform your home and create the bed of your dreams. 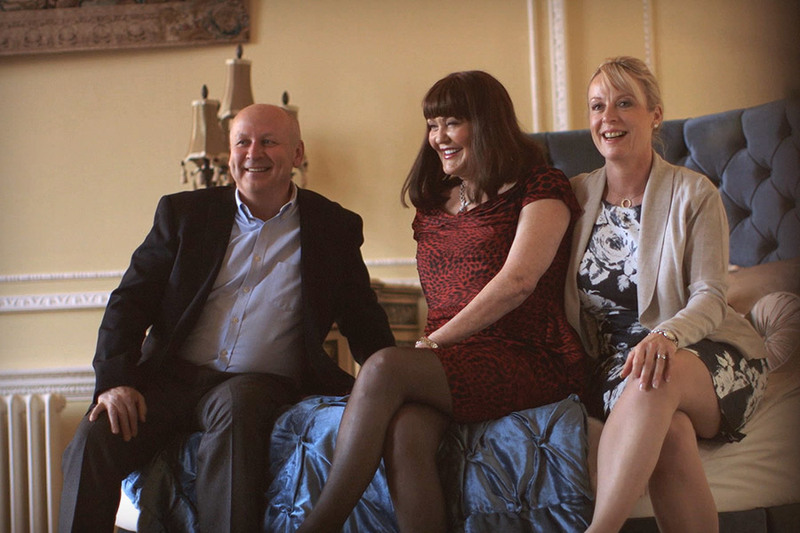 Hilary Devey joined Duvalay in 2011, enhancing the partnership with her delight and abundance of experience in the area of luxury homes and furniture. With stunning and lavishly furnished homes located in Marrakesh, Palm Beach, London, and on Staffordshire's Royal Rangemore Estate, Hilary led Duvalay's design team in creating her first collection. From country splendour to urban chic: whatever your style, our Hilary Devey collection is at home wherever you rest your head. From enhanced support right to the very edge of our side-stitched mattresses, to plush, deep buttoning and a twinkling, finishing touch of playful diamante glamour… We've obsessed over the design and hand-creation of this adaptable, desirable, and ultimately comfortable collection. Our wide range of fabrics, features and finishes allows you to create an individual masterpiece which complements your personality, lifestyle and taste giving you the freedom to adorn your dream bed according to your own preference.